Originally from Santa Clara, Cuba, Dr. Norberto Benitez came to the United States at the age of 12 with his parents and sister. Settling in Miami, his father taught them the value of hard work and civic pride that was the driving force in both his children completing medical school and becoming physicians. Dr. Benitez entered private practice in 1987 when he purchased a small pediatric office in Neptune Beach from Dr. Aleyda PiRoman. The practice eventually merged with Jacksonville Pediatric Associates and grew to include three offices during the next 18 years. In 2005, Dr. Benitez left the senior pediatric partnership position he held at JPA to open 24/7 Pediatric Care Centers, the only 24/7 pediatric practice in the United States, fulfilling a long time dream of opening an office dedicated to round-the-clock care of children. Adhering to a philosophy of treating all children in the way he would treat his own family, Dr. Benitez has built PCC on a firm foundation of providing superior customer service in a comfortable and friendly environment. The results speak for themselves. The pediatric practice has provided round-the-clock care to thousands of patients and peace of mind to their moms and dads. Dr. Benitez is a 1980 graduate of the Universidad Central del Este in the Dominican Republic. He completed one-year family practice internship at St. Joseph Medical Center in New York and a three-year residency in pediatrics at University Hospital in Jacksonville. 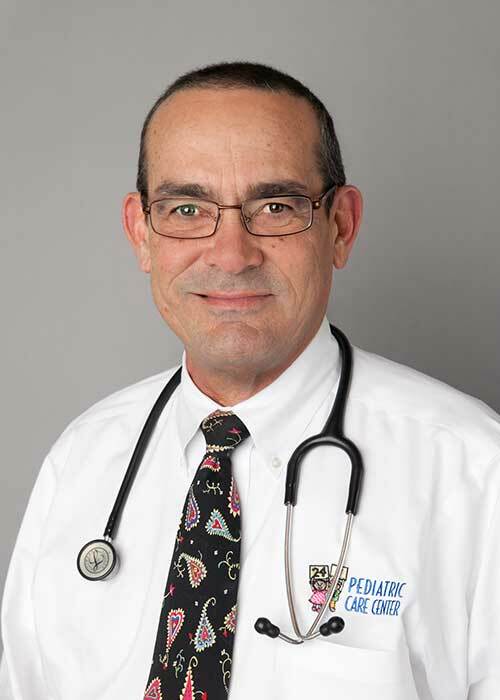 After becoming a pediatrician, he has been a member of numerous organizations including the Northeast Florida Pediatric Society, Duval County Medical Society, Florida Medical Society, Past President of the Arlington Rotary, St. Vincent de Paul Society and the Student Affairs Board at the University of North Florida. He is also involved in missionary work in Peru and Jamaica, visited Haiti after the devastating earthquake in 2010 to treat patients and founded the Bright Eyes Uganda where his work has been instrumental in bringing pediatric care to children in Bolivia and Guatemala and in providing clean water, building a church and school in Uganda. Dr. Benitez has five children, two granddaughters, two grandsons and resides in Jacksonville Beach with his wife Anna.